EVs are now available in most countries, but sales remain low about everywhere. Good news are hard to come by so we shall not miss it when there’s one. 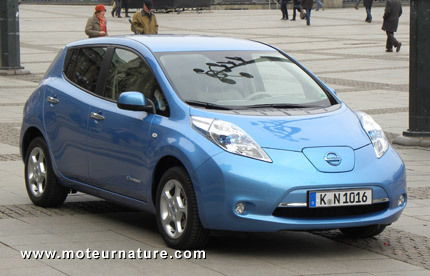 It comes from Germany, where the Nissan Leaf has only been available since last February. Obviously, there were hundreds of people waiting to buy one, as there were 694 EVs registered in March, in Germany. Never before were there so many EVs sold in a month in the country. We shall add that last month was a record month for Germany with 339,123 new car registrations. EV market share is clearly minimal, and hybrids are not doing much better. With 4,020 cars, they only have a little more than 1% of the market. Carlos Ghosn though, the CEO of Renault and Nissan and biggest single investor in EVs, remains optimistic, bullish even, about EVs sales potential for 2020. We shall share his optimism, knowing that oil prices won’t come down. EVs are not doing any better in Germany than in America. Dismal sales!